sirènes Set 1. titre says it. Its not flawless par far and not my best work either but I've been working on it and wanted to get it up.. HD Wallpaper and background images in the croisements Disney club tagged: photo disney crossovers mermaids heroines finding nemo cleo sabastin atlantica. Ariel My Darling Will toi Marry Me? Wow Esmeralda looks so weird. Sorry. She is supposed to be looking over her shoulder, very poor execution. Oh my word! So gorgeous! The look fantastic! Cinderella looks pretty with long hair. 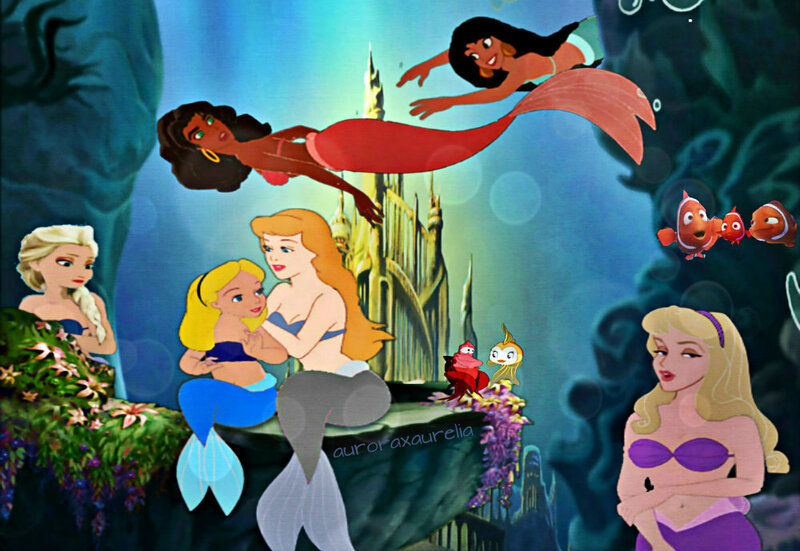 Awww, Sebastian, Cleo, Marlin, and Nemo! ^Thank you both. I tried to add a variety of characters. I like Cinderella's hair long too. They all look wonderful! Nice job! Yay! No one adds Coral in a crossover! I once had a cat named after her! :) I want to add a nice little family in the crossover. Its a shame she isn't used more, that could be because there are so little shots of her but she is a nice character. I would like to see her used more. What kind of cat was it?